The world is getting weirder. I took a photo of a photo so I can post it here! And the world is ever so small. I met my former church friend who happens to be my good friend's neighbour. And it was my good friend's wedding dinner. 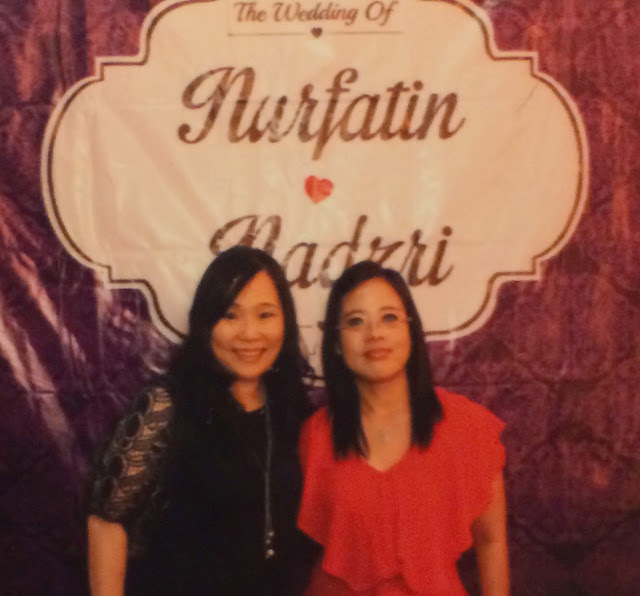 It was a lovely bersanding ceremony and I wish Fatin and Nadzri the best and a great life together as husband and wife!